The Great Irish Potato Famine of the 1840s is now recognised as the worst humanitarian disaster of nineteenth century Europe. In 1841 the population of Ireland was over 8.5 million people. By 1850, at least one million people had died in terrible conditions while more than 1.25 million emigrated as refugees. It is estimated that a further c. 400,000 births did not take place as a direct result of an Gorta Mór. Ireland lost more than its people. 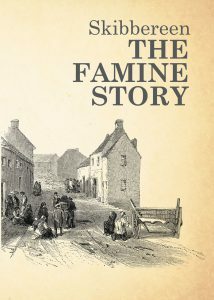 The Famine fundamentally changed both the land and the people of Ireland, distorting the course of Irish history. The social, cultural and psychological effects of the Famine lingered on long afterwards and emigration became a part of Irish life. Fifty years after the Great Famine, the population of Ireland had almost halved. Skibbereen played a very important role during the Great Hunger as reports from the area focused worldwide attention on the disaster. Skibbereen became synonymous with the Famine and many sites in the town have direct links to this tragic time, each with its own story to tell. available to purchase as a DVD in our online shop. 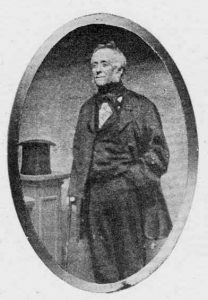 by downloading an article by Philip O’Regan of Skibbereen Heritage Centre. by downloading an article written by Terri Kearney of Skibbereen Heritage Centre. which is available as a podcast here.